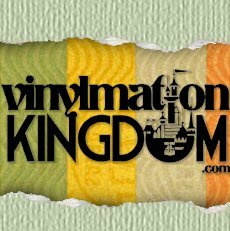 April | 2012 | Sorcerers Of The Magic Kingdom: The Blog! The Magic Kingdom was chock full of SOTMK rumors today. I spoke with a couple different cast members today, some of which work directly with the attraction and others that do not. Remember, these are just rumors and nothing is concrete like all things Disney they are subject to change. The hottest topic and most sought after piece of info is when more cards going to be available, specifically 61-70. There are more rumors about this than you can shake a stick at. However there was one person who I talked with today and they were very adamant that sometime in early June booster packs that will include 61-70 will be available with a price tag ranging from $6-$8. Here’s my opinion, I think that price is right. It’s common knowledge among those tied directly to SOTMK that Disney is not pleased with the resale of cards 61-70 so it is in there best interest to make them as affordable as possible thus flushing out that market. Next up is the easy mode lock down, in addition to certain kinks being worked out on the medium/hard levels. The game has been locked on easy for all players in an effort to reduce wait times at portals. The FB group “If You Played Sorcerers of the Magic Kingdom” has reported that the lock down on easy will remain until Fall 2012. As far as I know this is very possible, as it’s looking like end of August will be the target date that you’ll see medium/hard levels return. However I was told that then when they do return it might not be for long, it is possible that easy mode lock downs will occur every so often in an effort to move guests through the game at a reasonable speed. 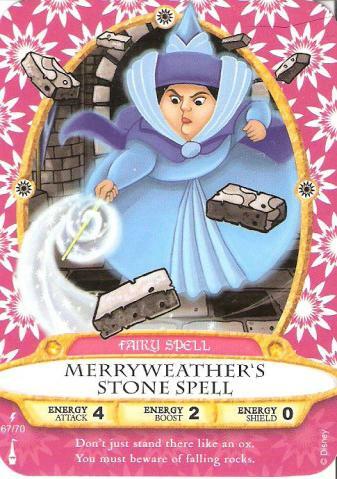 In talking with some other folks today there is a rumor floating around out there that Disney is considering charging for spell packs with cards 1-60. At least for now that is totally false. I was told verbatim “At this time we have absolutely no intention to charge guests for these spell packs.” Referring to those available at the Firehouse or behind the Christmas Shop. Of course they had to say, “At this time” because like everything Disney, it could change at any time. IMO I don’t believe they will ever charge for those spell packs, simply because they want to give you something. That way you’ll get hooked, and once the “booster packs” and all the other merchandise comes online you’ll be ready to whip out that wallet and go to town. The last thing I’d like to share with you is that the sidekick battles are still live, but only during certain times of the day. I have noticed that in the first 30 minutes of park open, and last 30 minutes until park close, you’ll be able to access those battles. However it does vary, for example the person in front of you might get to battle Glut the Shark and you do not. 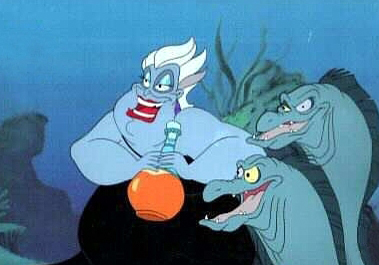 Instead maybe you’ll go on to Adventureland and face Iago, Banzai, or Kronk as an Alpaca. What I am saying is this, those sidekick battles are not gone completely. Play early or late enough and you will have access to them. As usual I will keep my eyes and ears open and share everything I can. If you haven’t already be sure to follow us on twitter and join our Facebook Fan Page. Thanks for reading! Tweet courtesy of @attractions magazine. As much as some people are upset at the amount of money that’s being spent on “NextGen” at WDW. It’s definitely a plus for Sorcerers of the Magic Kingdom. With rumors swirling of new portals being constructed or already constructed in New Fantasyland and Tomorrowland. It certainly affirms the repeatability factor thus giving guests something new to look forward to. With summer crowds on the horizon it will be interesting to see how Disney and their guests are going to deal with the lines. One can only hope that a couple new portals will open soon or maybe even a “fast forward” option will come into effect to speed up the game during the intro scenes. Considering the popularity of the game and from what I heard today, it’s pretty safe to expect easy mode to continue through the summer months. I can’t imagine they will be allowing anyone to level up during the summer especially when MK at times will see capacity crowds. Either way, I’m sure that plenty of new exciting updates will be coming our way in the near future. Like most of you I often forget that this attraction has only been officially open for a little over 2 months. Personally I’d rather see Disney take their time with any merchandise, booster packs or other upgrades rather than rush it out just to please the masses. In my opinion this is a quality product that was 4 years in the making and I’m sure any upgrades will be carefully thought out and executed. 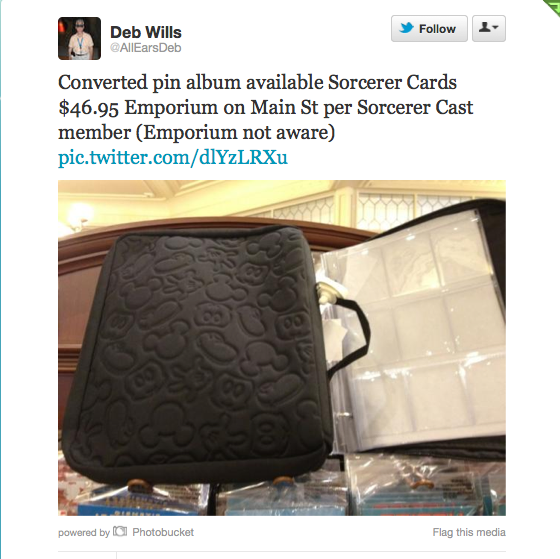 In other news the first sign of merchandise appeared today in a tweet from Deb Willis founder of Allears.net. In my opinion, that’s pretty sad for a whopping $46.95. I really hope they’re going to do better with future merchandise. Only time will tell. Ooooh $699.99 what a generous price break! 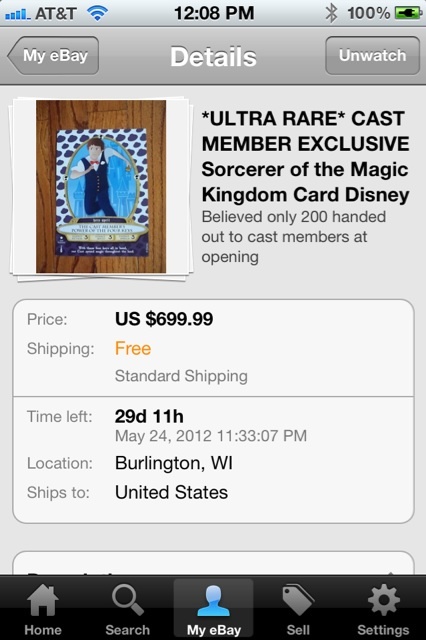 “This is the ULTRA RARE CAST MEMBER EXCLUSIVE CARD! 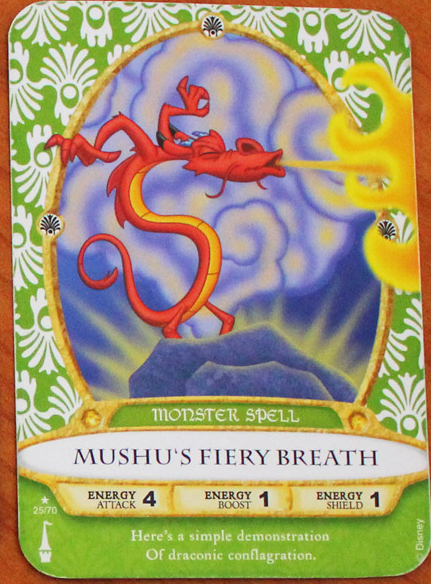 This card was ONLY given to cast members and is larger than the regular cards. The back of the card has the opening date on it! We put a regular card next to the cast member one to demonstrate the size (smaller card not included). The picture is of the exact card you will receive! This card is VERY RARE and possibly one of the RAREST THERE EVER WILL BE because they will never reproduce this card because it has the opening date on it! WE PAID A LOT FOR THIS CARD OURSELVES SO PLEASE DO NOT SEND REALLY LOW OFFERS! We have played this game at Disney World and it is amazing! This game is very quickly becoming very popular and soon prices on these cards will skyrocket! We have many other cards that we are selling as well so please check out our other auctions! Wow that’s quite the sales pitch, and how nice of them to include free shipping. It’s official the resale market is out of control. 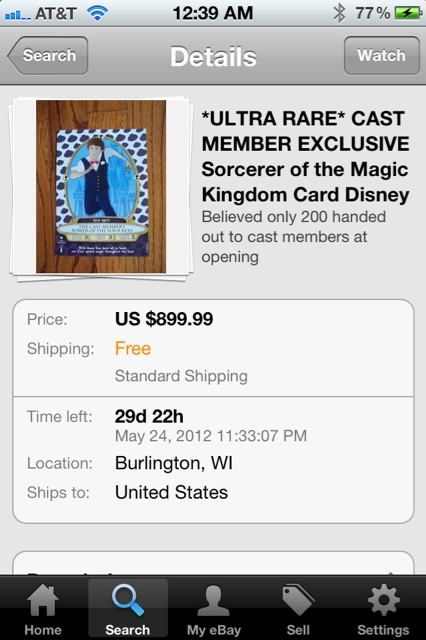 AS OF 4/25/12 AT 13:53:54 PDT THE CARD SOLD FOR $699.99! Now I’m not perfect by any means, but it blows my mind how inconsiderate people are when visiting Walt Disney World. My wife and I have been coming to the parks for a very long time so I guess we’re spoiled in that we are pros when comes to touring the world. I do realize there are those who are the exact opposite, unfortunately they are the majority. I’m amazed at how many people fail to do any research when planning a trip to WDW. 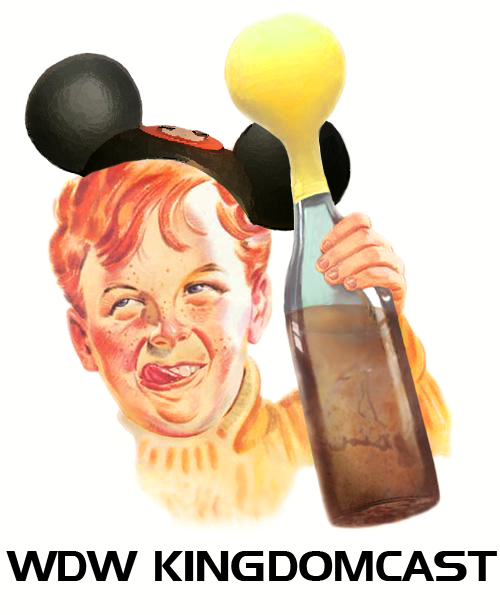 There are plenty of do’s and don’ts when visiting WDW those also apply to sotmk. I wanted to touch on this topic since I believe it is becoming a problem. Please understand there are certain times of the day when lines at portals can get long, sotmk like any other attraction gets busy. There are lines for everything at WDW and you have to wait in them it’s that simple. One thing I’ve noticed is that you’ll see groups of about 6 or more where only a few people are playing, and those that are not playing will go hold spots in other lines. They will send each person of their party that is not playing to a different portal and hold a spot in line for those who are. So here you are going about your business waiting to play, when all the sudden 1, 2, 3 people come over who were assigned to that portal yet weren’t waiting in that line. That’s rude. 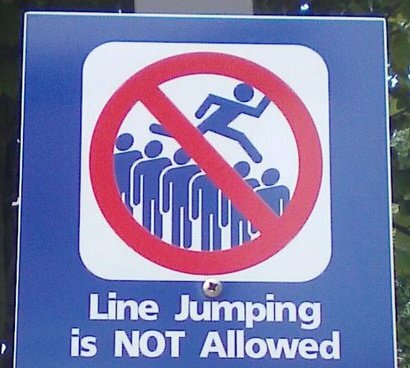 Compare it to someone who is line jumping at Space Mountain. Have some class and wait your turn. Why is that so hard? Your selfish behavior is making the wait longer for everyone else. With the hot summer months just around the corner I can see this becoming a major issue. Remember we’re all trying to save the Magic Kingdom, be considerate to your fellow sorcerers! So yeah, I guess you guys are right. The Magic Kingdom was like a library before Sorcerers of the Magic Kingdom made its debut. Also, no one is forcing you to play SOTMK. If you don’t like it don’t participate. It’s that simple. Many high quality images such as this one are available on the net. Being able to collect 1-60 isn’t the hard part for those playing SOTMK. Its acquiring the last ten that has proved most difficult. Those who own any of the highly coveted lightning bolt cards either have them stored away or are selling them for high dollars on eBay. If you’re like me you want them, but you’re not dumb enough to pay the ridiculous cost. Well here’s how you can get them without spending much money at all.